Emily Harrison is back on the scene with a shiny new Golden Ticket to Western States Endurance Run! She’s had mixed luck there, finishing top ten in her first attempt, and a tough DNF bonk on her second. How is she preparing for her third try? Emily Harrison and her Mom. Sarah and I chat with Emily about what she believes has been causing GI and energy problems over the past years: Multiple food allergies. What’s she allergic to, and how have those allergies shown themselves? We hear about her prep for Sean O’Brien 100k (only 8 weeks of training!?! ), and how the race panned out. Did she lead from the gun or take it conservatively? Emily was on the Nike Trail Elite team, but now has no shoe sponsor. What’s that all about? We hear about the time Sarah beat Emily at Lake Sonoma by over an hour. (Wait, what?) 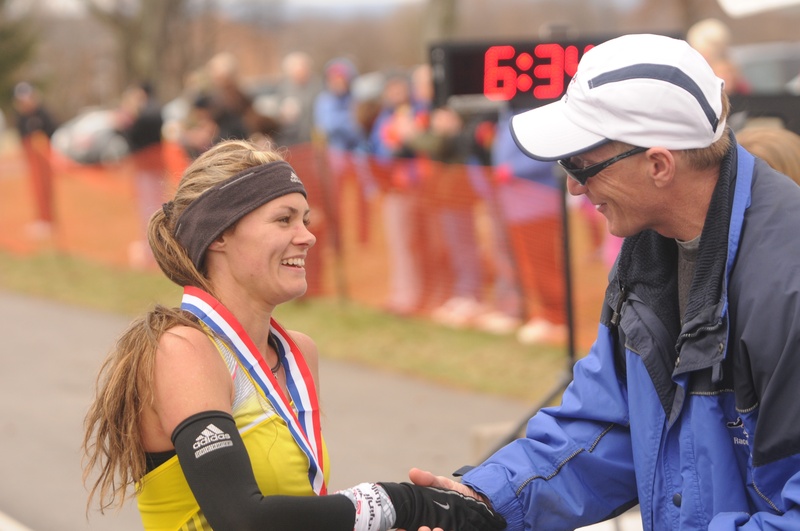 What happened in that race, and why did she keep running, despite having an awful day? She’s getting married in May…how does that fit into everything? Emily tells us about her and fiancee Ian Torrence’s summer ’16 when they were campground hosts in Colorado. Why’d they do it, and did they have to throw out any partying hooligans? 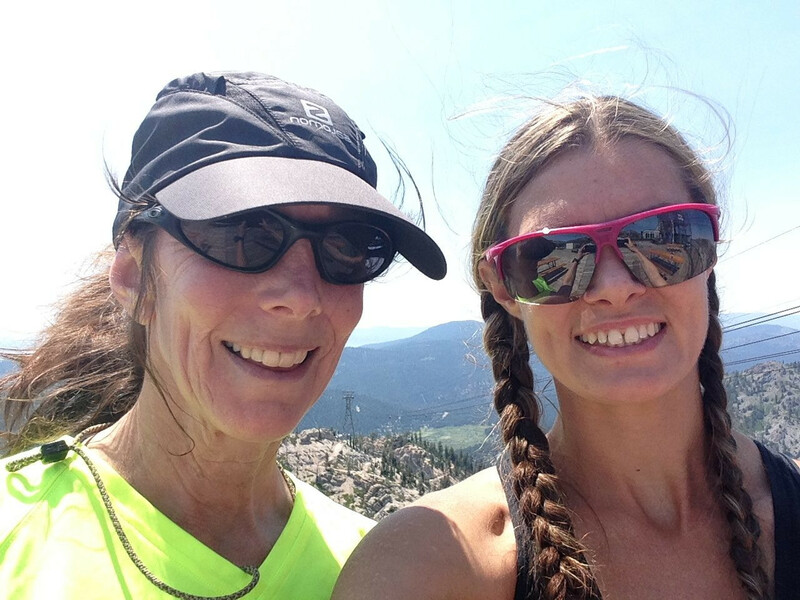 Sarah, Emily, and I talk about raising kids in a running-friendly environment. Emily’s folks were runners and it clearly rubbed off. Sarah’s kids don’t run, and mine do. What’s the best way–if possible at all–to encourage your kids to run? We talk about how Ian pulls her out of a mental funk mid-race, and what she’s done for him. Emily Harrison at JFK50 with RD Spinnler. 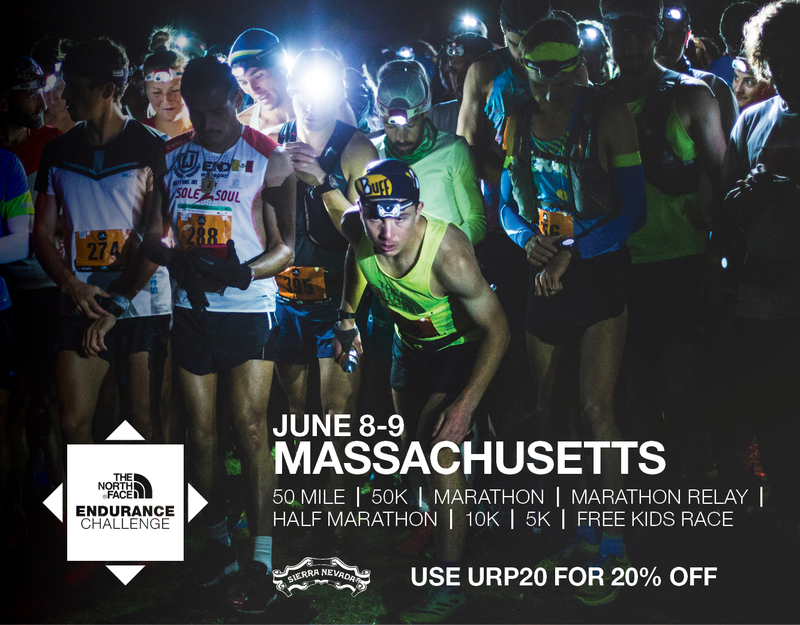 Episode sponsored by North Face Endurance Challenge Massachusettes. June 10-11, 2017. Use URP15 at checkout for a 15% discount off of registration! Here’s our original interview with Emily from 2014. Here’s our interview with fiancee Ian Torrence in 2012, and here is the transcript. Outro music by The 88. 6 Responses to "Emily Harrison – A Golden Ticket and a New Leaf for 2017"
* M’nahhhd-nahk, like there’s no vowel in the first syllable, nahhhhh, nah.